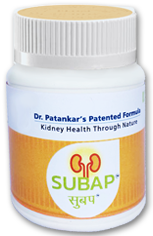 Subap is a supplementary medicine that can treat problems such as kidney inflammation and damage to the kidney's filtering units. 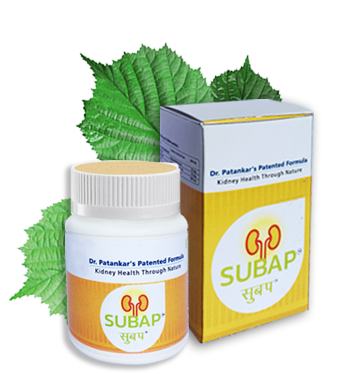 Subap is also effective against UTI, Prostate problems and stent-related problems. Subap also improves the functioning of the kidney. Subap Plus reduces the size and prevents the growth of stone size up to 9mm. 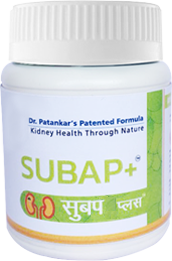 Subap Plus is also effective in preventing the recurrence of stones and pain in kidneys. 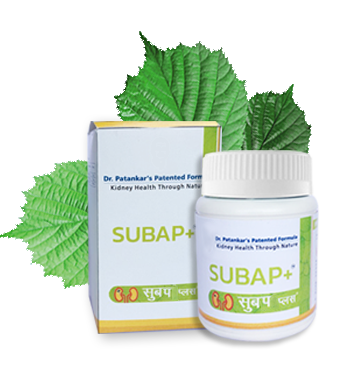 Subap is a supplementary medicine that can treat problems such as kidney inflammation and damage to the kidney's filtering units. Also, it can cure prostate related problems. 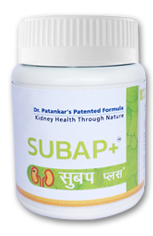 We are glad to bring ‘An innovative herbal product – SUBAP PLUS’ for the treatment of kidney stones. It is based on the ancient & renowned science of life-Ayurveda, and the scientifically validated research of Prof. Dr. Suresh Patankar (Urologist). The current kidney treatment methods which include lithotripsy and also ultrasonic and laser have a high chance of residual fragments that can cause new stone formation. In addition to this, the main problem is that the current practices do not address the problem of primary metabolic disorder. Also, there is a possibility that today's medicines might have some or the other side effects. 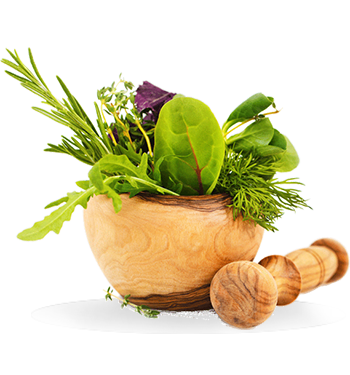 To address these problems, we have designed Subap and Subap Plus using herbal remedies.